It’s spring break for my daughter this week, so we get to sleep in, stay in our PJ’s late and take our time with breakfast! I love these kinds of days as the pressure of getting somewhere on time is taken away and we can all just relax and enjoy each other’s company. 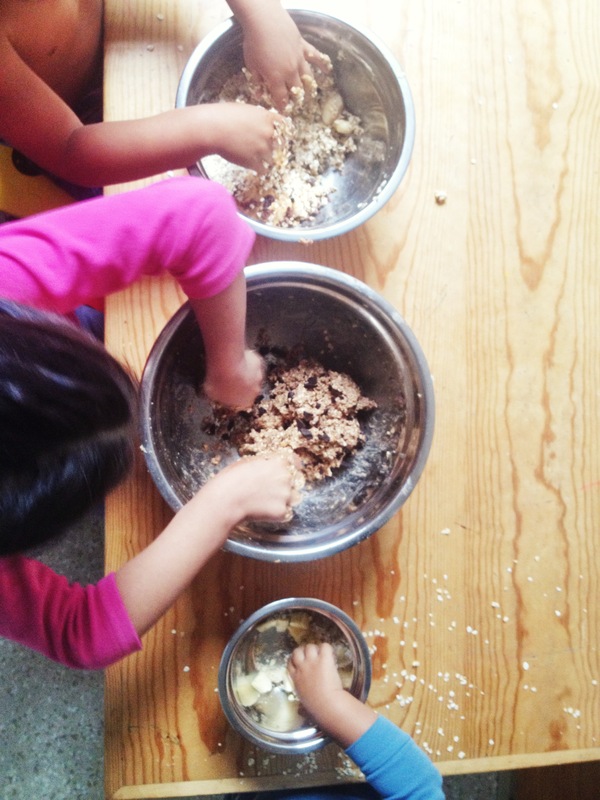 And what better way to do that than a kitchen activity! I had been wanting to make these cookies since I saw Peanut Butter and Ellie post them. Hers look divine and I wish I would’ve checked out her recipe one more time before making my own as I would have added more PB, but they cam out great and chewy and delicious nonetheless. 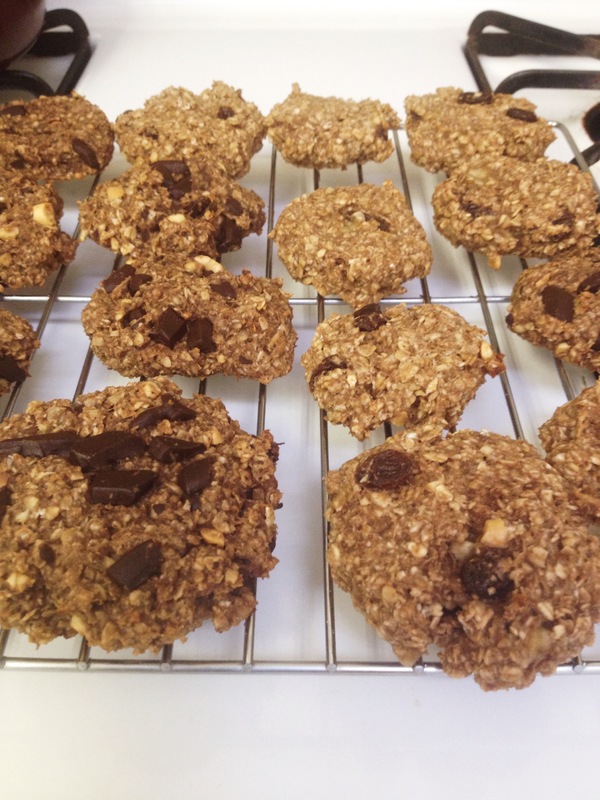 Her cookies looked soooo easy and delicious and filled with awesome breakfast fuel that I just had to get my hands dirty with the kids and have fun in the kitchen making them! As you can see they all had a great time mashing all the ingredients together. This is the most fun for kids! They get to squish and mash and play with food and then end up with cookies that mom says it’s okay to eat for breakfast!? Win!! put all ingredients in a bowl and mash them real good!! Each bowl made about 8 cookies. Need I say more? 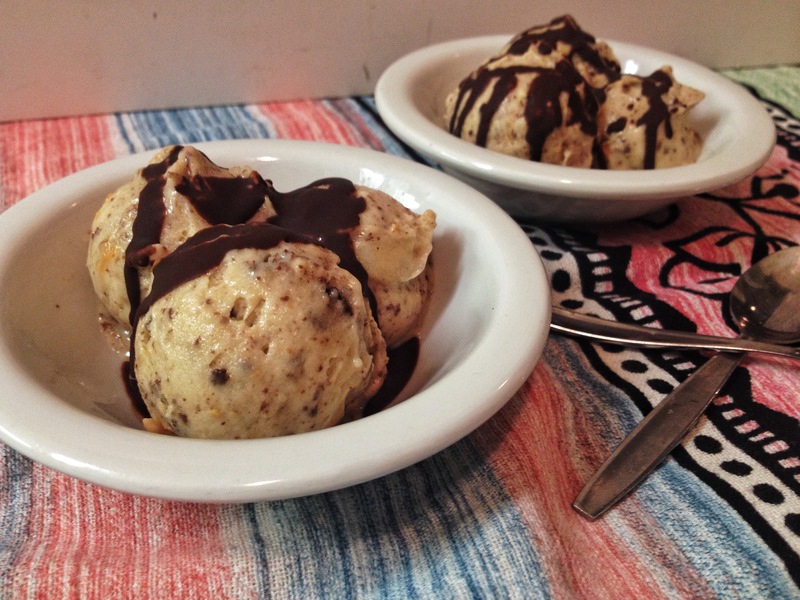 Creamy, meringue-y, bananas and chocolate. My husband said this was his favorite of all my pies, which says a lot because I have made countless pies over the years! It was my son’s 1st birthday on the 20th. I almost made another cake that I have been wanting to perfect the recipe, but when thinking about Jolan, and what he really loves, there was no doubt that it needed to involve bananas. So I put my creation hat on and came up with this delicious creamy goodness. 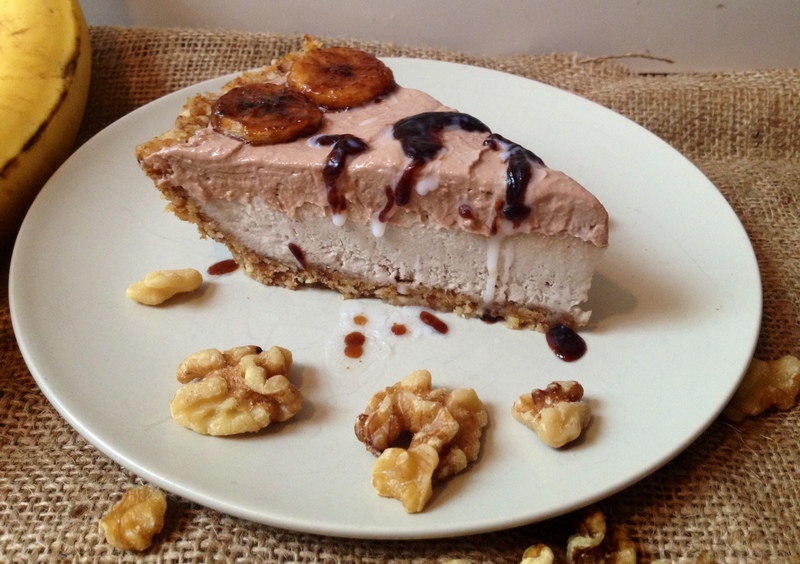 This pie is raw, vegan, refined sugar free, flour free, but definitely not flavor free!! To my knowledge, and under my supervision, my son hasn’t had sugar yet. And barely any dairy. And to celebrate his 1st year on this wonderful planet, I did not want to introduce him to the white addictive substance. I generally choose to celebrate life, with, well life. And that is what raw food is. put all ingredients in food processor and blend until well combined, but not too much or it will get too sticky and oily. You want it to stick together when pressed down but have the look of clumpy soil when done processing. press in the bottom of pie dish, or a 10inch springform pan. This recipe makes a lot of filling. Too much for just one 9 inch pie. I made a pie AND 6 “cupcakes”.However, it is perfect for a 10 inch springform pan. pour into pan or pie dish. NOTE: this is too much for just one 9 inch pie dish. I made 1 pie and 6 “cupcakes” with all this filling. It is perfect for a 10 inch springform pan. store in the fridge until ready to use. Typically let set in the fridge for several hours before using. Every week, for 5 days, I send my daughter off to school with a snack and a lunch. That’s a lot of snacks and a lot of lunches, week after week. For that reason, at times I like to make a huge batch of muffins and freeze a bunch so that I can easily grab a snack last minute that will be nutritious and exciting for her. She can get bored of the dried fruit mixes and sliced apples. This recipe is simple in taste, no processed sugars therefor not overly sweet and, in my opinion, nutritious and healthy so that she can stay full longer and have good fuel for her body. Store bought muffins (or coffee shop muffins), are glorified cupcakes without the frosting. In terms of sugar content, they are pretty much equally high. 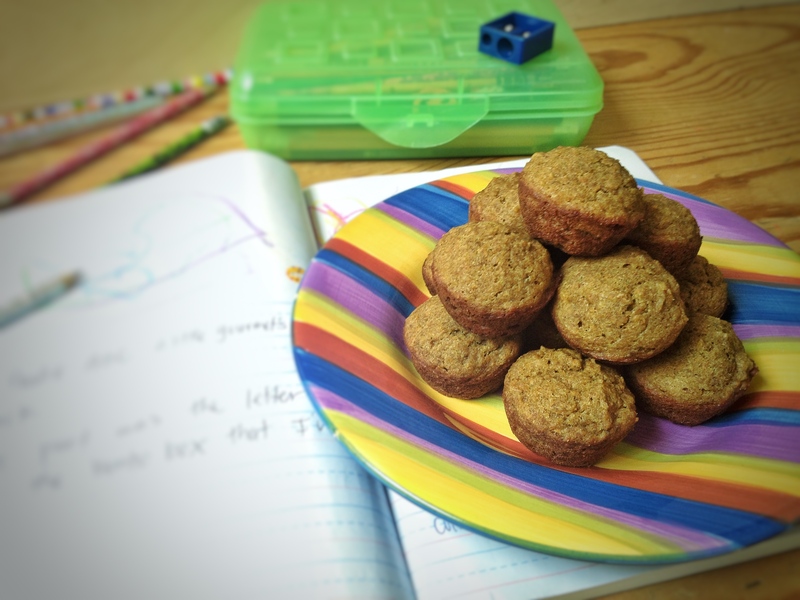 When made well, muffins can be an easy, quick nutritious breakfast/snack. The kids loved these, I had to hurry and freeze a few batches before they ate them all. Which to me is a win. Giving them something they love while maintaining my nutritional integrity is important to me. 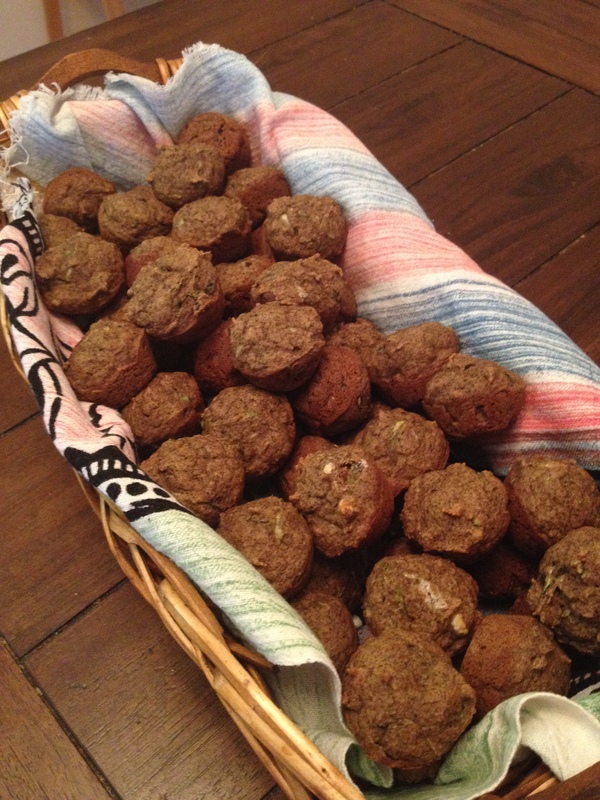 I made 72 mini muffins with this recipe!!! One of my favorites right here. 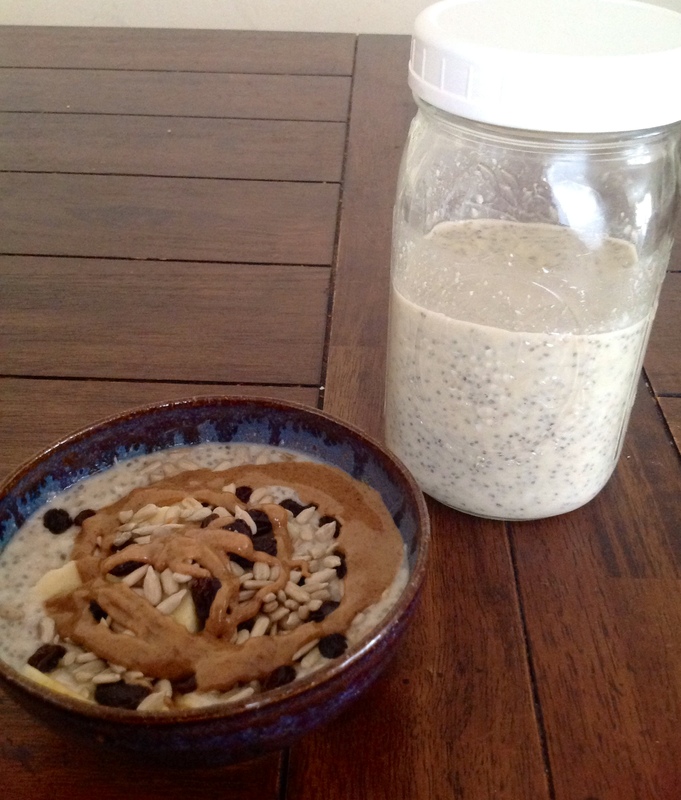 This recipe was inspired by Amie Sue at Nouveau Raw. 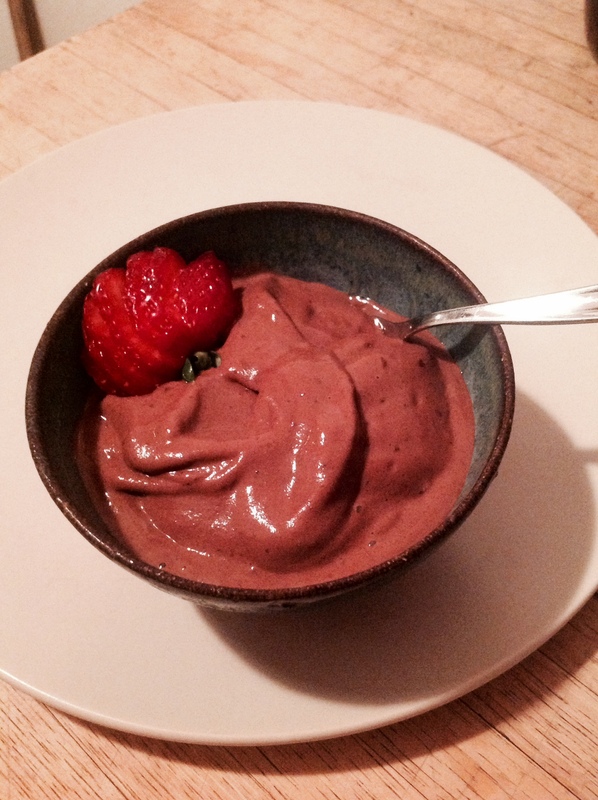 If you have not yet discovered her site, she has amazingly beautiful Raw recipes. Amie Sue is everything I do not have the patience to be but wish I was. You can feel the love and attention she puts in her food just by looking at her pictures. Blend everything and let sit for at least 30 minutes. It is best when made several hours ahead, but it tastes great eating it shortly after it has been made. Top with toppings and Enjoy! !